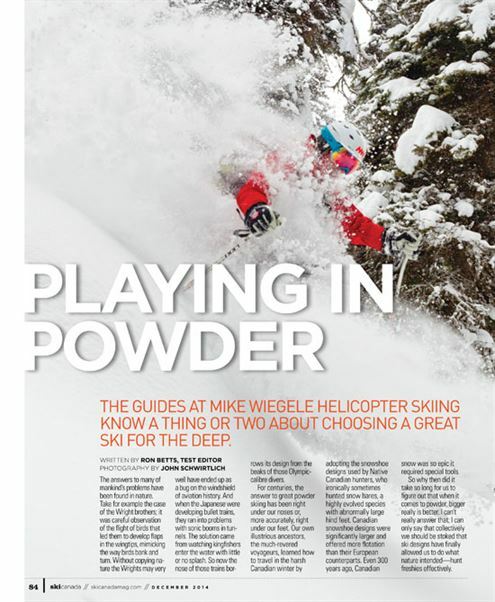 The Guides at Mike Wiegele Helicopter Skiing know a thing or two about choosing a great ski for the deep. The answers to many of mankind’s problems have been found in nature. Take for example the case of the Wright brothers; it was careful observation of the flight of birds that led them to develop flaps in the wingtips, mimicking the way birds bank and turn. Without copying nature the Wrights may very well have ended up as a bug on the windshield of aviation history. And when the Japanese were developing bullet trains, they ran into problems with sonic booms in tunnels. The solution came from watching kingfishers enter the water with little or no splash. So now the nose of those trains borrows its design from the beaks of those Olympic-calibre divers. For centuries, the answer to great powder skiing has been right under our noses or, more accurately, right under our feet. Our own illustrious ancestors, the much-revered voyageurs, learned how to travel in the harsh Canadian winter by adopting the snowshoe designs used by Native Canadian hunters, who ironically sometimes hunted snow hares, a highly evolved species with abnormally large hind feet. 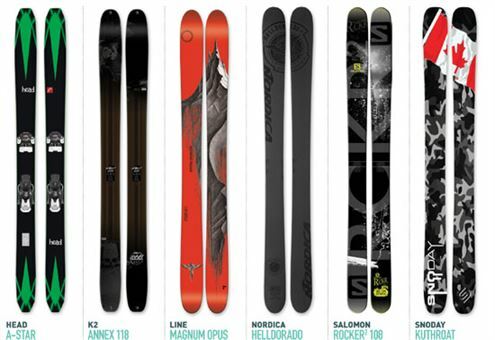 Canadian snowshoe designs were significantly larger and offered more flotation than their European counterparts. Even 300 years ago, Canadian snow was so epic it required special tools. So why then did it take so long for us to figure out that when it comes to powder, bigger really is better. 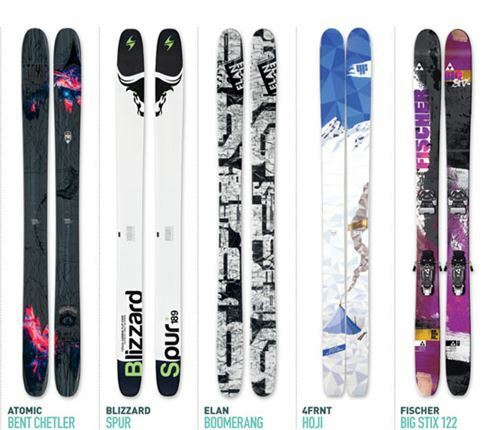 I can’t really answer that; I can only say that collectively we should be stoked that ski designs have finally allowed us to do what nature intended—hunt freshies effectively.